Barry Freeman has more than 20 years of facilitation and consulting experience in leadership and talent management, team development, organizational development, strategic planning, cultural change, and customer-focused quality. He has worked in some of the world’s most prominent organizations, in 21 countries, covering all continents. Barry’s industry experience includes financial services, insurance, manufacturing, pharmaceutical, energy, retail, and media. His work has resulted in outstanding results for clients, including multimillion-dollar turnarounds, the realisation of a performance-focused continuous improvement culture, and the attainment of the Gold Australian Quality Award. Barry has a reputation as a results-focused facilitator who challenges leadership thinking and creates a continuous learning environment. His line/business management background enables him to relate to leaders and managers at their own level, as well as drive change throughout the organization. 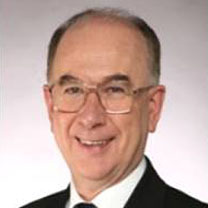 Barry’s work has included project management to implement best practice demand/supply chain management, project managing/leading the establishment of HR/OD and L&D functions in a “greenfield” manufacturing plant, and providing executive coaching services to individual leaders, leadership teams, and key account teams. His prominent client list includes Walmart, Blackrock, Johnson & Johnson, Unilever, ANZ Bank, the United Nations, Janssen-Cilag, RBS, and Ford Motor Company, among others. Human Synergistics OCI/OEI and LSI. He is an accredited mediator with the Attorney General’s Department and LEADR (Lawyers Engaged in Alternative Dispute Resolution), a Certificate IV Workplace Trainer and Assessor, as well as a member of the International Society for Performance Improvement (ISPI), International Coach Federation (ICF), and American Society for Training and Development (ASTD). I first met Barry some years ago while carrying out a project for Oliver Wyman / Mercer. Since then we have worked together on various projects, delivering in some rather exotic places like Baku and Tbilisi. Barry has certain gravitas when he works with groups, people listen to what he has to say, something that helps him help clients. He is a very valued member of our team and we all respect and appreciate the experience and wisdom he brings to our projects.